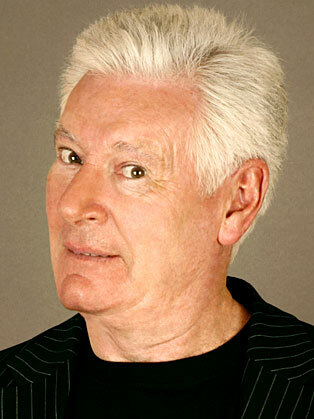 Roy Walker is best known for presenting the game show Catchphrase. Roy Walker is a television personality and comedian from Northern Ireland, who worked for many years as both a television presenter and comedy actor. Roy Walker is already well known to TV viewers through top ITV game show, "Catchphrase". He has most recently been seen in BBC One's 'The Real Marigold Hotel' where a group of celebrities travel to India to see whether retirement would be more rewarding there than in the UK and taken part in Channel 5's 'When Gameshows Go Horribly Wrong' earlier this year. He won a whole new fan base through his regular "Carpark Catchphrase" feature on Chris Moyles' BBC Radio 1 breakfast show and became a huge cult hit and is regularly booked for universities around the country where he plays to sell-out audiences - often to two thousand screaming students at a time! He has been team captain for the series of BBC Radio 4's comedy quiz "Act Your Age", starred in Challenge TV, titled "Roy Walker's TV Bloomers" and for the same channel, "Roy Walkers's Game Show Moments". Roy also made a guest appearance on the Royal Variety Show , Roy has taken his one man show to Edinburgh Festival where he appeared for the entire season with enormous success and to great critical acclaim and also to the Udderbelly Festival on the Southbank, London SE1. Belfast born Roy's career started at the age of fourteen as a soprano in the celebrated Francis Longford Choir. He was Northern Ireland Champion Hammer Thrower for two years and served seven years in the army before moving to England and becoming a professional comedian - touring in clubs and cabaret. In 1977 he came to national prominence through TV's 'New Faces', receiving the highest marks ever given to a comedian. Many major television appearances followed and in 1986 he became host of the TV's 'Catchphrase' screened on both ITV and Challenge TV. He was the subject of 'This Is Your Life' in 1998; appeared in the hit series 'Phoenix Nights' and became a popular member of Living TV's "I'm Famous And Frightened" cult TV show. He also presented a six-part comedy series 'The Way We Tell 'Em' for BBC Radio. He guest-starred in 50 Musical Years of Stage and Screen, a gala concert at the Palace Theatre in London’s West End and he was invited to perform in New York at a benefit concert Salute to the New York City Firefighters.